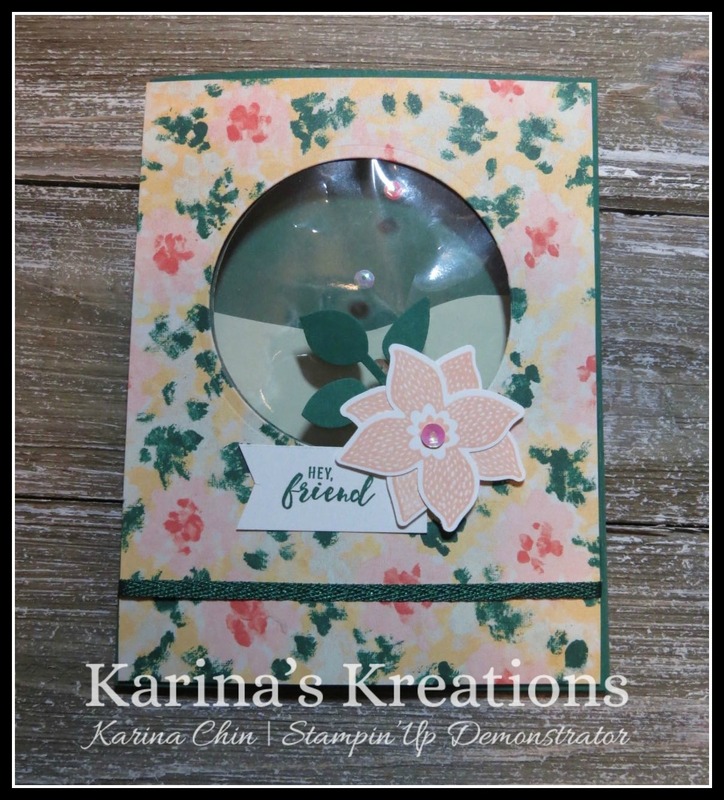 Karina's Kreations: Stampin'Up Pop of Petals Shaker Card! Stampin'Up Pop of Petals Shaker Card! I thought I would share an easy shaker card with you using the Pop of Petals stamp set and the four-petal flower punch. 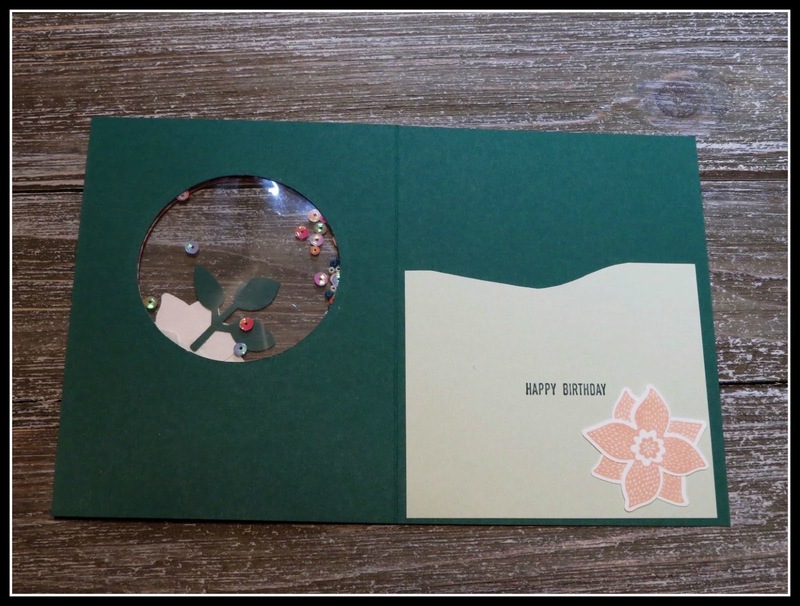 I'll be doing a facebook live tutorial today at 1:00 showing you how to make this card or you can attend one of my card classes this month and make this card. I have a class Wednesday Nov 14 at 9:00 am and Monday Nov 19 at 7:00 pm. I hope you can stop by, just click on the facebook link at the left hand side of my blog.